India has climbed 23 places from a year ago to rank 77 out of 190 countries in the World Bank’s latest annual report on the ease of doing business. 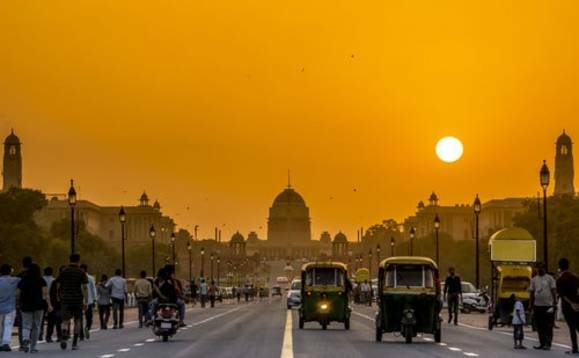 India was among the top 10 most improved economies along with countries such as China, Djibouti and Azerbaijan, according to the “Doing Business 2019” report. The ease of doing business in India improved notably after a series of reforms made it easier for companies to get construction permits, pay taxes and trade across borders, the report said. The report highlighted other areas of improvement for business, including simplifying India’s tax structures, improving the efficiency of cross-border trading and reducing the time necessary to meet compliance requirements. Among other countries to do well in the World Bank’s yearly survey is Kazakhstan. The Central Asian country rose 25 places to 28th in the global ranking of 190 economies. In leapfrogging leading economies such as France, Poland, Japan, Turkey and the Netherlands, Kazakhstan secured its placed among the top 20 for the first time in the report’s history. The report praised Kazakhstan’s economy “establishing best regulatory performance” and noted its extensive protection of minority shareholder rights. The World Bank gave Kazakhstan credit in several areas including simplifying tax registration, social security registration and licencing, as well as streamlining the enforcement of contracts by introducing electronic court automation. The United Arab Emirates, meanwhile, continued its dizzying ascent up the rankings, climbing 10 places to finish 11th in the overall rankings. The Emirates is the highest ranking economy in the Middle East and North Africa (MENA) region. In its report the World Bank drew attention to “the two economies that enter[ed] the top 20 this year — the UAE and Malaysia – have maintained such a reform momentum.” Malaysia climbed nine places, from 24th in 2017 to 15th in 2018. The UAE implemented four separate reforms in 2018, relating to setting up a business, obtaining electricity, registering real estate and gaining access to credit, the report said. More developed countries lagged behind the UAE, including Sweden (12th), Canada (22nd), Germany (24th), Spain (30th), France (32nd) and Japan (39th).